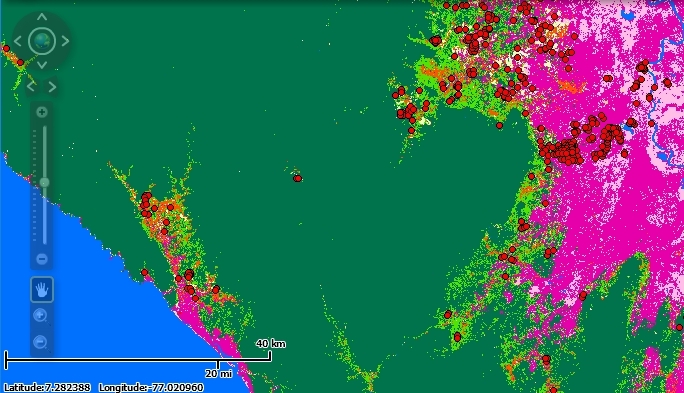 FIRMS: Pacific Coast of Colombia. 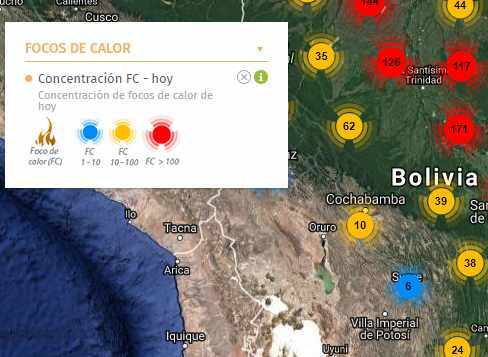 UDEM. 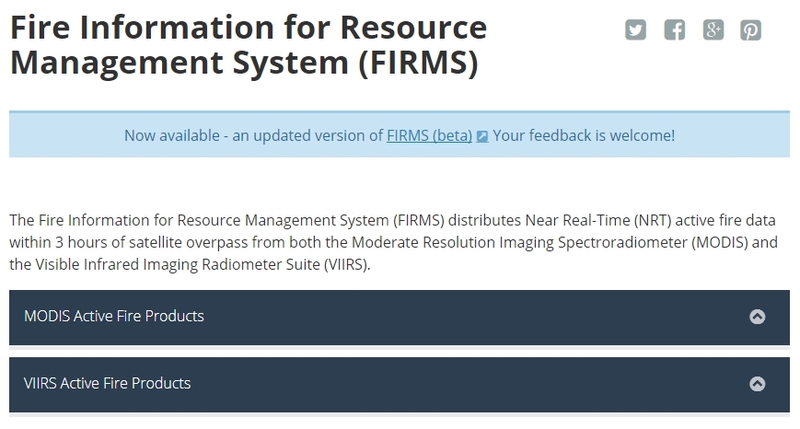 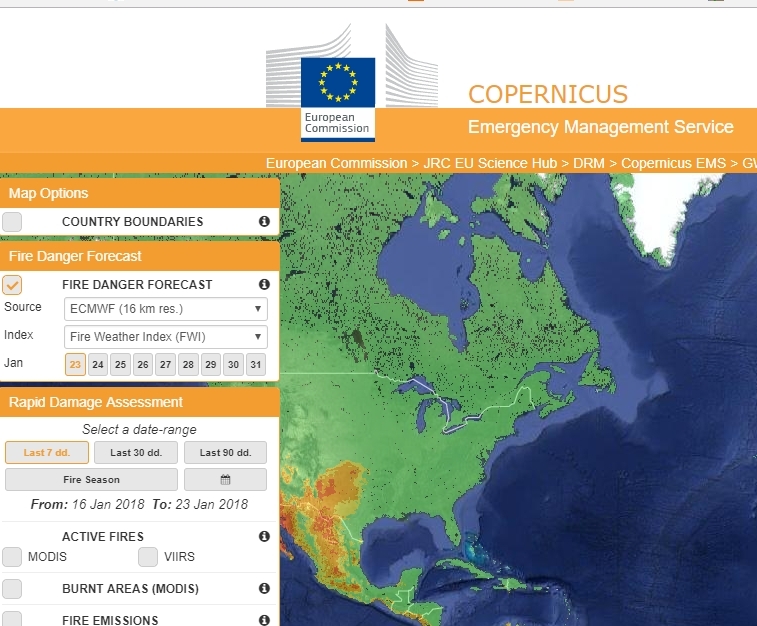 The new burned area product, MODIS Fire_cci v5.0 (also called FireCCI50 for short) was released on February 2018. 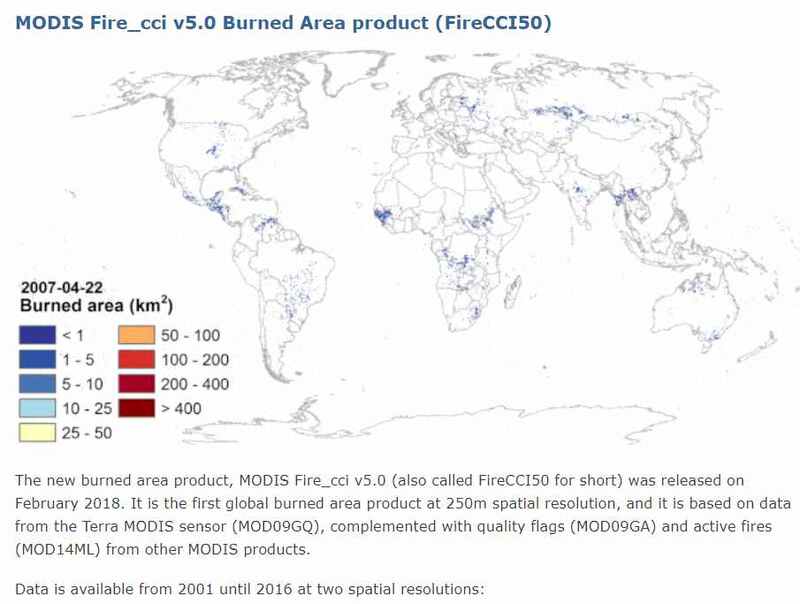 It is the first global burned area product at 250m spatial resolution, and it is based on data from the Terra MODIS sensor (MOD09GQ), complemented with quality flags (MOD09GA) and active fires (MOD14ML) from other MODIS products.